Putting Your House on the Market and Wondering if You Should Replace Lighting Fixtures? Find Out Here! Putting your home on the market can be stressful. Not knowing what you should focus on around your home can almost be as stressful. If you’re wondering if you should replace the light fixtures in your home you should read this article originally published in the New York Times and then decide. Hope it helps! If you need Baton Rouge homeowners associations dryer vent cleaning services, then Dryer Vents Plus is your #1 choice! Call Jeremy Leake today at 225-612-7752 to schedule your 100% Free, No Obligation Quote! Q. 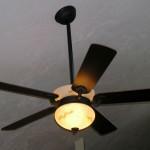 Should I replace my outdated ceiling light fixtures before listing my home for sale? A. ?? ?When preparing a new listing for marketing, one of the first things I look at is the light fixtures,??? said Rado Varchola, a senior vice president at Nest Seekers International real estate in Manhattan. ?? ?In most cases, it could have a negative impact if the fixtures are dated.??? Ideally, ceiling-mounted fixtures should have a clean, streamlined look, Mr. Varchola said, so buyers do not focus on the wrong things. Dusty fixtures, track lighting and ceiling fans are all generally undesirable, he said, because they reflect choices from earlier decades. In newly constructed apartment buildings, the main living spaces often do not have electrical wiring for ceiling fixtures. ?? ?They usually only put them in the kitchens and the bathrooms,??? Mr. Varchola said, ?? ?not the bedrooms and living rooms.??? Either way, he added, it?? ?s not the best place to make a big design statement. Ceiling fixtures can be an asset if you choose ones that are simple and unobtrusive, said Tori Golub, a New York interior designer. ?? ?Ceiling fixtures are great for changing the atmosphere of your space,??? she said. ?? ?But they should be sort of innocuous, blend in with the surroundings and not scream of any particular style.??? Looking to improve the look of your home but don’t have a lot of time? Checkout this article with information on how to improve home on weekends for busy homeowners that could be of interest to you.